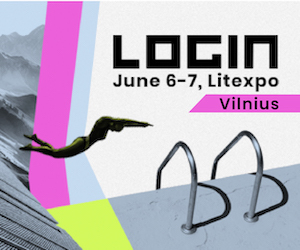 The Lithuanian capital Vilnius is emerging as the world’s biggest tech sandbox. At an important crossroads of Europe, Vilnius has always been a cosmopolitan city with important commerce that attracted a mix of cultures, languages and religions. Today, the city is emerging as a hub for technology startups that has seen it already rise to become one of Europe’s most important Fintech locations. One of the keys to its success has been the creation of sandbox environments that encourage businesses to test their products under controlled settings and with help of regulators. Vilnius now has five official sandboxes where this occurs, three in the realm of Fintech, as well as an energy and PropTech sandbox. 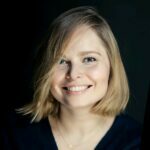 The PropTech sandbox, Realbox, was launched in 2018 by PropTech Baltic and is the first sandbox of its kind in the world. Realbox counts with 2.5 million square metres of property distributed across more than 100 commercial, residential and mixed-use buildings, including Lithuania’s four biggest shopping malls and several public spaces. The sandbox is designed to help PropTechs in early stages that need to test their concept or run pilot tests and is suitable for all PropTech types. 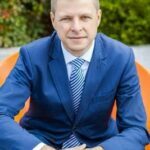 With Realbox, Vilnius hopes to replicate the success of the Fintech sandbox, and build on the already thriving tech startup ecosystem. “Vilnius is a forward-thinking place. Public and private actors are constantly working together to create better conditions for individuals and businesses to thrive here, investing in the tools and technologies of the future that will help us solve real life problems, for citizens of Vilnius but also beyond. The fact we have become a Fintech hub is a reflection of that. With Realbox, we are already seeing the PropTech scene beginning to flourish. We will continue to promote open data and other intelligent city policies, and we have made the municipality’s buildings available to Realbox”. 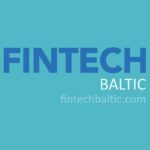 The rise of Vilnius as a Fintech hub as seen the number of Fintechs more than double in the last two years and putting it second only to the UK in numbers of Electronic Money Institutions (EMIs). Among the Fintechs with a presence in Vilnius is Alphabet’s Google Payment, which recently obtained an e-money license, allowing it to electronically store and transfer the funds of its customers. TransferGo, an online money transfer company making a serious impact in the global remittances industry, and currently onboarding an average of about a thousand customers per day, was founded in Vilnius. The creation of the PropTech sandbox aims to replicate the successes of the Fintech sandbox and capitalise on the thriving ecosystems and talent pool available in Vilnius. After only one year, there have already been a few successes. For instance, Serfy, a company that allows more efficient management and maintenance of buildings by use of a ticketing system, transitioned quickly from sandbox to receiving seed funding and closing various deals by showcasing through the sandbox. Vilnius’ authorities are committed to keep improving conditions for the future. Vilnius has joined the race to be among the first cities to roll out 5G, the technology that will allow ‘the Internet of Things’, the ability for devices, cars and buildings to be able to speak to each other.